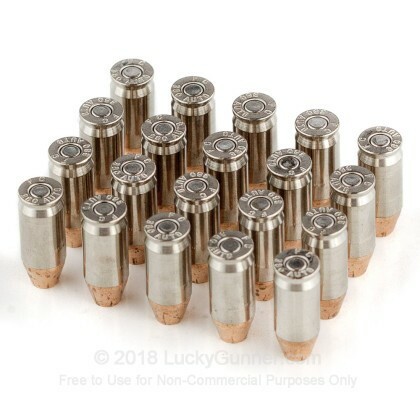 Invented in 1908, the 380 Auto, also known as the 380 ACP, is a fantastic self defense round for pocket sized pistols. Used as the standard issue sidearm for many different European counties during World War II the 380 ACP has gained popularity in recent years. Whether you are looking to range train or defend yourself, the 380 Auto is a proven option. Federal has been around since 1922, producing some of the best ammunition in America for generations. These Hydra-Shok rounds are engineered to deliver consistent and reliable expansion as well as adequate penetration for self defense applications. 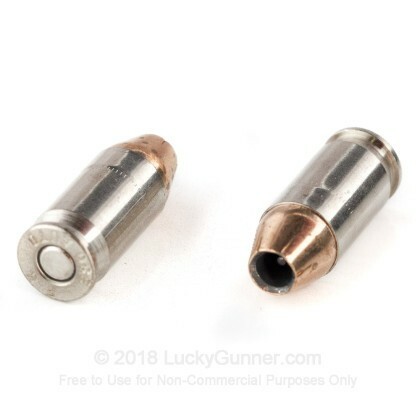 Each round features a 90 grain jacketed hollow point projectile that is loaded into a premium nickel-plated brass casing that comes boxer primed and is reloadable. These Federal Hydra-Shok rounds are loaded in Anoka, Minnesota. 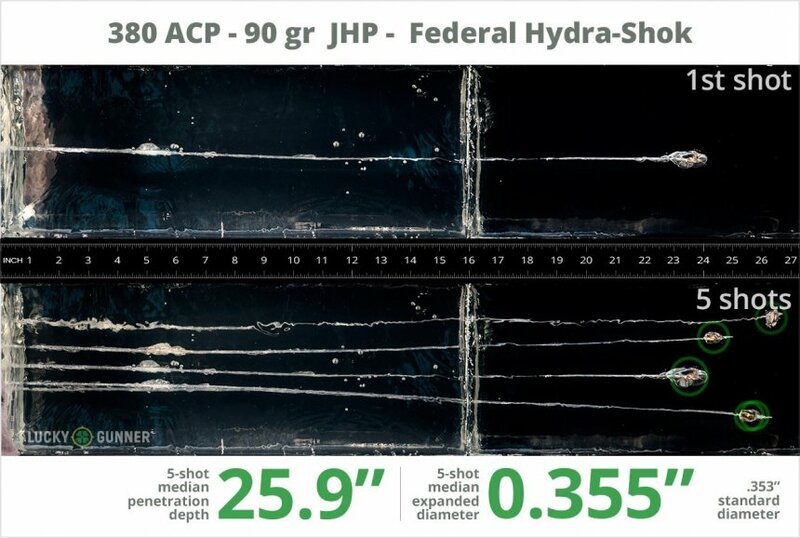 After firing five rounds of Federal 90 gr Hydra Shok from a Glock 42 into synthetic ballistic gelatin from 10 feet away through four layers of fabric to simulate clothing, we then measured the expansion and penetration of the bullets for this .380 Auto (ACP) load, which you can see in the chart below. 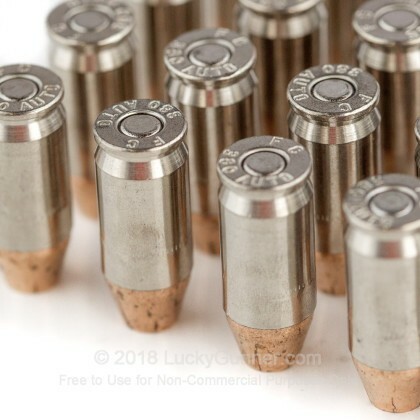 0.78" This ammo: 0.36" Min: 0.35" Median: 0.355" Max: 0.78"
25.9" 0" 6.5" 13.3" 28.7" This ammo: 25.9" Min: 6.5" Median: 13.3" Max: 28.7"
In my LCP I got a mean 5 shot average of 1,009 FPS which is incredible energy in such a short barrel, however even with that velocity I got zero expansion into water jugs, and accuracy on paper at 7 yards looked like buckshot. 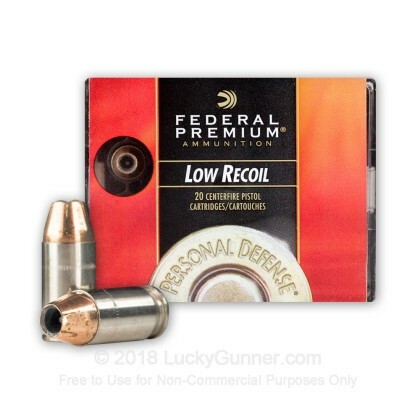 This ammo is just a tad too powerful for a 2.75" barrel, and won't stabilize accurately. 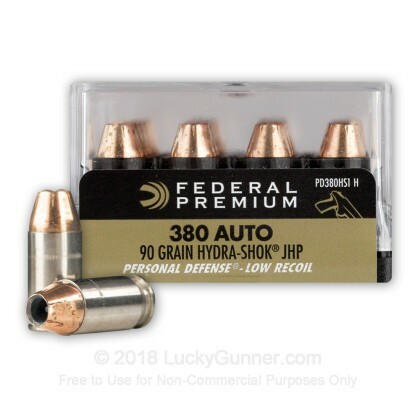 We also have this 380 Auto - 90 Grain Hydra-Shok JHP - Federal - 20 Rounds ammo in stock in a smaller quantity.